Heads of the court, procuracy and audit sectors presented their five-year work reports at the 11th session of the XIIIth National Assembly, reviewing positive changes and limitations in their performance. 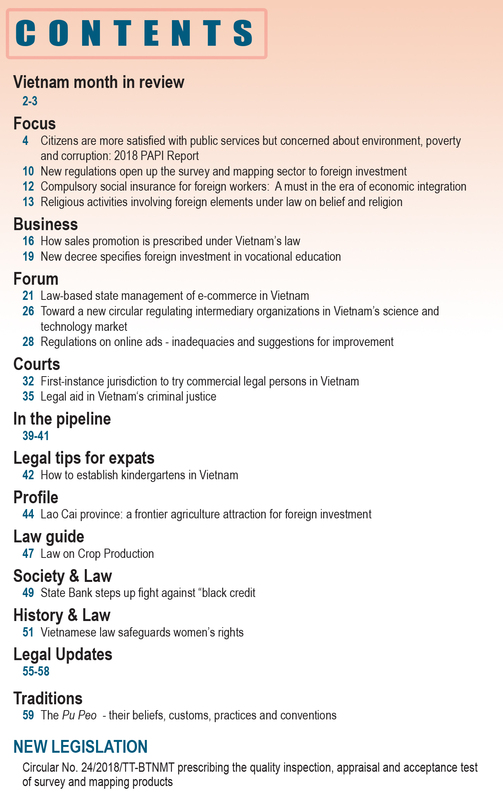 In his report, Chief Justice of the Supreme People’s Court Truong Hoa Binh affirmed that in the past five years the court sector basically fulfilled its heavy tasks. Courts saw many positive changes in their performance and well implemented the Party’s resolution on judicial reform and the Legislature’s resolutions on the work of courts, Binh said. Actively grasping the practical situation, the Supreme People’s Court worked out many solutions, especially promoting the adversarial process at court hearings; renewing and improving professional training for court personnel; and properly reviewing adjudicative work and ensuring uniform application of law. Courts at all levels drastically implemented these solutions, resulting in further positive changes in the settlement of cases of all kinds. Over the past five years, courts settled 1,781,410 out of 1,809,080 accepted cases, or 98.5 percent, with most of standing cases being newly accepted and still within the prescribed settlement time limit. Thanks to their efforts to improve the adversarial litigation at court hearings, the rate of judgments canceled or corrected due to judges’ subjective mistakes fell 1.35 percent compared with that of the previous tenure. Almost all criminal cases were heard in a just and lawful manner, injustice against innocent persons minimized and strict penalties imposed on convicts. Files of cases involving particularly serious offenses, cases of great public concern, and economic and corruption cases were expeditiously examined by courts for prompt and stringent trial. According to the Chief Justice, the application of suspended sentences was closely supervised, especially for corruption-related offenses. Annually, an average of over 9,000 mobile hearings were held, helping raise the legal awareness of the population and deter crime. For cases wrongfully tried many years ago, as soon as they were uncovered, courts quickly made public apologies and paid compensations to unjustly convicted people, such as Nguyen Thanh Chan in Bac Giang province, Luong Ngoc Phi in Thai Binh province, and Huynh Van Nen in Binh Thuan province. At the same time, courts also revised and added regulations on the process of addressing petitions for cassation or reopening trial. They settled 86.5 percent of received petitions, or 30,774 out of 35,556, and would settle the rest within the prescribed time limit. All protests filed by the Chief Justice of the Supreme People’s Court were accepted by the Cassation or Reopening Trial Panel, Binh said. The Chief Justice reported that the Supreme People’s Court implemented many judicial reform projects for improving the organization and operation of courts in particular and judicial bodies in general. Many proposals put forward by the Supreme People’s Court were incorporated in the new Constitution and laws, for example, the provision “the state power is unified” in Article 1 of the Constitution. He also pointed out several weaknesses and limitations in the courts’ performance, including three unjust convictions; delayed settlement of cases due to subjective reasons; unsatisfactory rate of settled petitions for cassation or reopening trial; and some court officers’ violations of the code of professional ethics, discipline and law. Examining the Chief Justice’s report, the National Assembly’s Judiciary Committee asked the Supreme People’s Court to effectively carry on the judicial reform tasks set forth in the Party’s and National Assembly’s resolutions on judicial work, the 2013 Constitution and the 2014 Law on Organization of People’s Courts, aiming to elevate the role and prestige of courts. The Supreme People’s Court was also requested to improve the review of trials and guidance for uniform application of law, focusing on the application of court precedents; and speed up the hearing of corruption-related criminal cases. 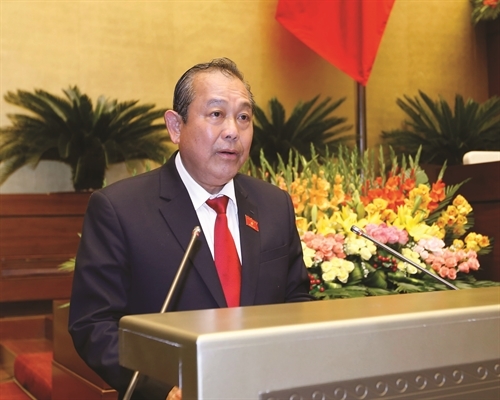 Procurator General of the Supreme People’s Procuracy Nguyen Hoa Binh said the procuracy sector saw progress in all working areas, especially in exercising prosecution rights and supervising judicial activities. In the past tenure, the entire sector handled 97.3 percent of received denunciations and reports, 7.3 percent higher than the target set by the National Assembly. The number of crime-related denunciations and reports which remain unhandled past the prescribed time limit gradually dropped. Procuracies supervised the investigation of 337,474 cases involving 539,564 accused persons, 14 percent higher than the fiqueres of the previous term. They also supervised judicial activities in the stage of prosecution of 498,622 accused persons in 275,380 cases, an increase of 15.5 percent. The handling of criminal cases in the stages of investigation and prosecution was sped up, with the rate of cases in which offenders were properly prosecuted within the required period reaching 99.99 percent, surpassing the target set by the National Assembly. The investigating body of the Supreme People’s Procuracy uncovered and initiated 150 criminal cases, an increase of 92.3 percent over the previous tenure. Many cases involving violations in judicial activities, causing injustice to the innocent, and cases involving corruption-related offenses in judicial activities were instituted and stringently dealt with. It also made 283 recommendations for judicial bodies to prevent and handle violations committed by judicial officers. 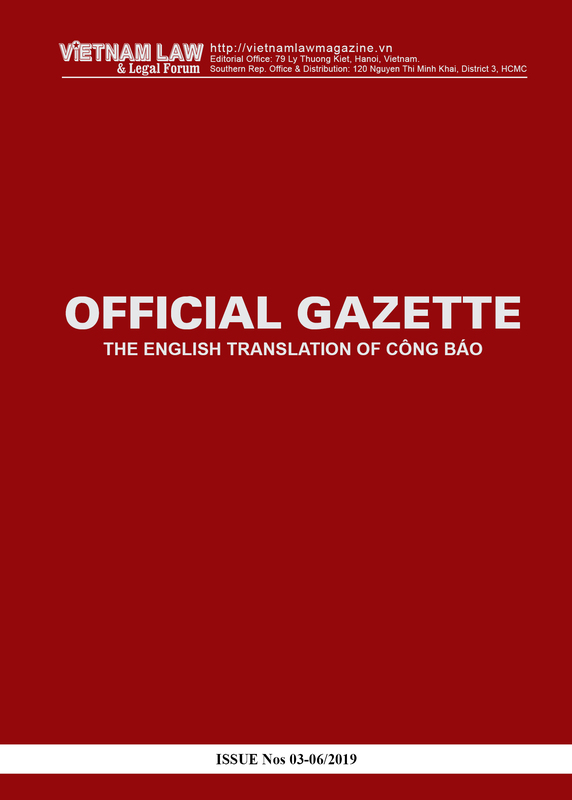 According to the Procurator General, the Supreme People’s Procuracy in the past tenure made 6,035 cassation protests, 131 percent higher than the previous term, of which 85 percent were accepted by courts, 15 percent higher than the target set by the Legislature, and 7,987 recommendations, 7 percent higher than the previous term. The entire sector made a total of 41,461 recommendations and protests, making important contributions to ensuring law observance in judicial activities, he said. Procuracies at all levels supervised 941,924 cases of custody, temporary detention and execution of criminal judgments, and demanded the issuance of 385 judgment execution decisions and release of 176 persons. They also considered 310,975 files of request for commutation of imprisonment terms and amnesty, of which they proposed rejection of 624 files of request for commutation of imprisonment terms and 430 files of request for amnesty. The Procurator General admitted that there remained some wrongfully prosecuted cases; the settlement of some cases involving corruption and economic offenses was prolonged; litigation skills of procurators at some court hearings remained unsatisfactory, etc. Considering the work report of the procuracy sector, Chairman of the National Assembly’s Judiciary Committee Nguyen Van Hien requested the Supreme People’s Procuracy paid more attention to improving the quality of litigation at court hearings and well cooperating with courts to increase the effectiveness of trial. Procuracies should strive more to prevent coercion and torture against the accused and thoroughly settle complaints about wrongful judgments. 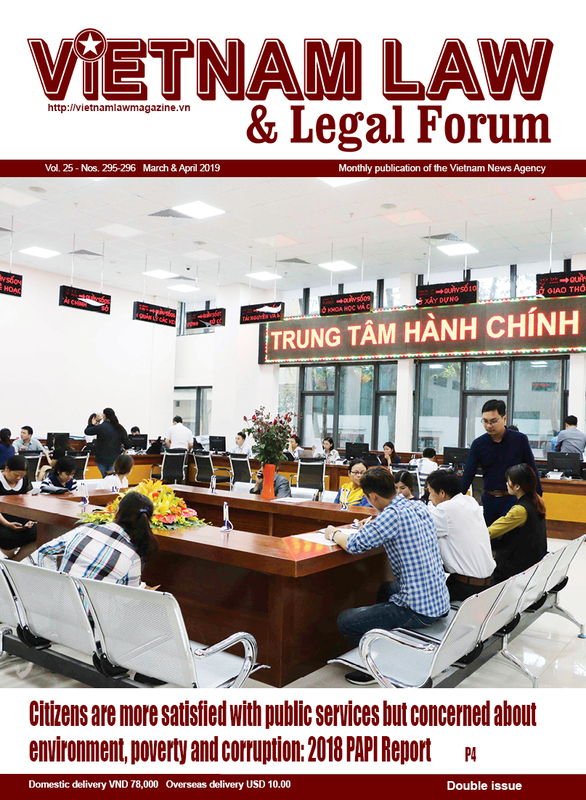 Reporting on the performance of the state audit sector in the past five years, State Auditor General Nguyen Huu Van said the legal corridor for the organization and operations of the State Audit Office of Vietnam was increasingly completed, while the auditing capacity was improved.